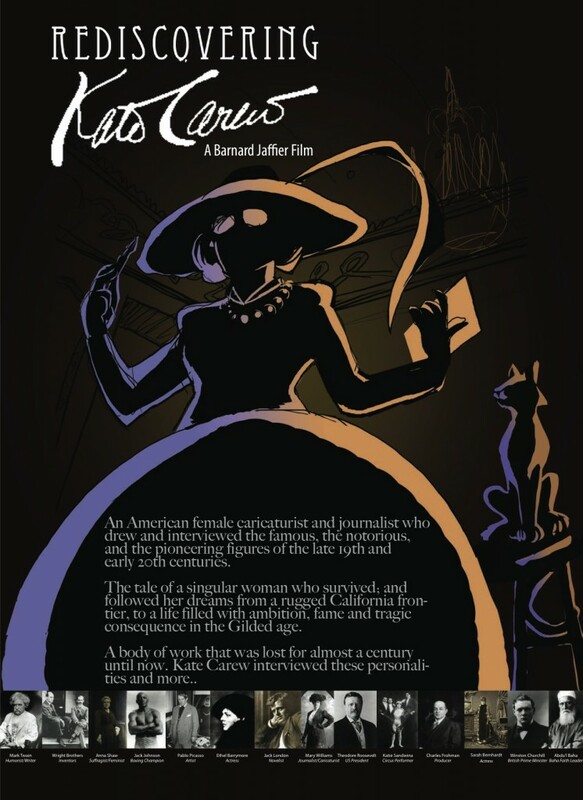 A one hour historical documentary and multi-platform trans media project on Mary Williams (1869-1961), known by her pseudonym as Kate Carew. JOIN US IN MAKING THIS FILM PROJECT! OUR CURRENT PROJECT GOAL IS $100k WHICH WILL COVER THE COST OF REMAINING EVOCATIVE SCENES TO BE FILMED, ANIMATION SEQUENCES, SCRIPTING, ORDERING ARCHIVAL ELEMENTS (STILLS & FOOTAGE); COMPLETE SOUND TRACK; AND EDITING A PRE-FINE CUT FOR TELEVISION PROGRAMMERS. This entry was posted in ANIMATION, BROADWAY, CALIFORNIA, CARICATURE, CARTOONS, CELEBRITY, FILM, GILDED AGE, GOLD RUSH, HISTORY, INTERVIEWS, JAFFA FILMS, JOURNALISM, NEW YORK, NEWS, NEWSPAPER, SAN FRANCISCO, SPORTS, THEATER, WOMEN, WWI, WWII by admin. Bookmark the permalink.